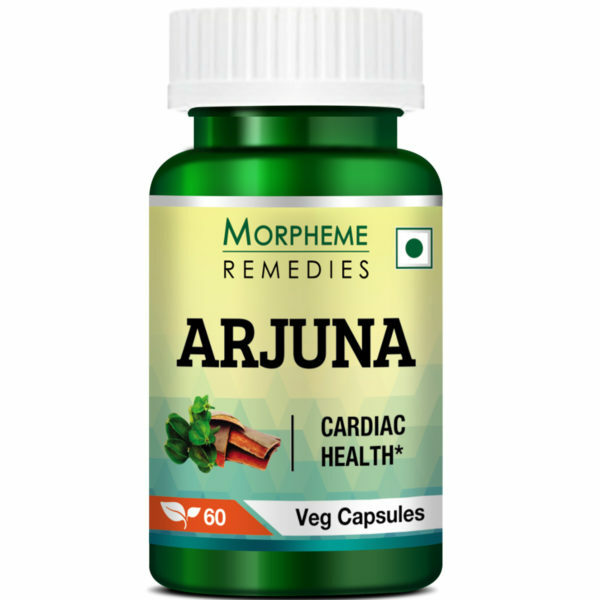 Morpheme Remedies Arjuna contains the extract of the bark of the Terminalia Arjuna tree, which is widely recommended by the Ayurvedic texts known for helping the cardiovascular function. 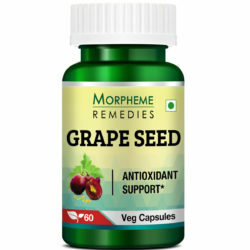 Morpheme Remedies Arjuna is a premium quality Arjuna capsule. It contains pure Terminalia Arjuna bark extract. Researchers have identified various antioxidant constituents of Terminalia Arjuna bark including polyphenols and Arjunolic acid. Arjuna is well tolerated. It is safe for long term use. Free from additives, fillers, binders, allergens and artificial ingredients, this is one of the best quality Arjuna supplement. Arjuna is a deciduous tree, native to South Asia. It is also known to help improve the blood. Is Terminalia Arjuna safe for consumption? Studies have shown that Arjuna is well tolerated and does not cause any adverse reaction even when taken for a prolonged period. In addition, Morpheme Remedies Arjuna capsules contain pure Terminalia Arjuna bark extract. The product is fully natural, devoid of artificial ingredients. Hence, it is safe for consumption. In most cases, significant improvement can be notified in 2 to 3 weeks. Can I take Arjuna with other drugs and supplements? Arjuna is not associated with any adverse reaction when it is taken along with other medications and supplements. When should I avoid Arjuna? Because of the blood thinning property of Arjuna, stop taking the product at least for two weeks prior and after a scheduled surgery. Before taking this I was little skeptic about this product and did not believe that it would help me in any way. But I was wrong, this product lower down my blood pressure and now my cholesterol level is also in balanced state. It improves my overall health. Now I am a believer. Arjuna is a superb tonic for the heart. 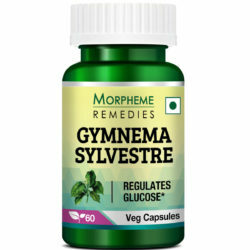 It was recommended to me by a practitioner of Ayurvedic medicine. However, he insisted that I take a good quality Arjuna supplement. Morpheme Arjuna is a top rated product. 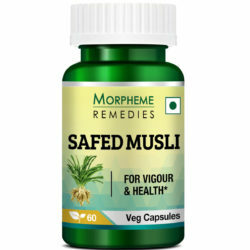 It helped in reducing my palpitation and occasional angina. My heart rhythm is now normal and my blood pressure has improved. I have arrhythmia and the product that helped me most is Arjuna. It has also caused modest reduction in my blood pressure level, which has helped in reducing the dosage of my antihypertensive drug. 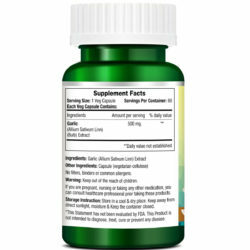 These arjuna capsules are helping in maintaining healthy heart function. I started noticing improvement after taking it for a week. It is helping in lowering my blood pressure. The quality of the arjuna extract is excellent. After taking this for a month I feel better. It is helping in maintaining normal heart rhythm. I feel a little better after taking these arjuna capsules for a week. Appears to be good quality arjuna extract. I think this is a good quality arjuna capsule. It seems to help in blood pressure management. Good supplement for heart health and blood pressure. This is helping me. Arjuna is good for the heart. This is a quality product. Arjuna is believed to be good for heart and blood pressure. The quality of this particular supplement is really good. I feel better after I started taking it. This Arjuna supplement helps in maintaining the heart health. I found it quite useful. It showed result in a short time. An effective product for maintaining blood pressure and heart function. I’m taking this for over 2 weeks. Arjuna bark extract is known to be good for the heart and blood pressure. I am taking for quite some time. 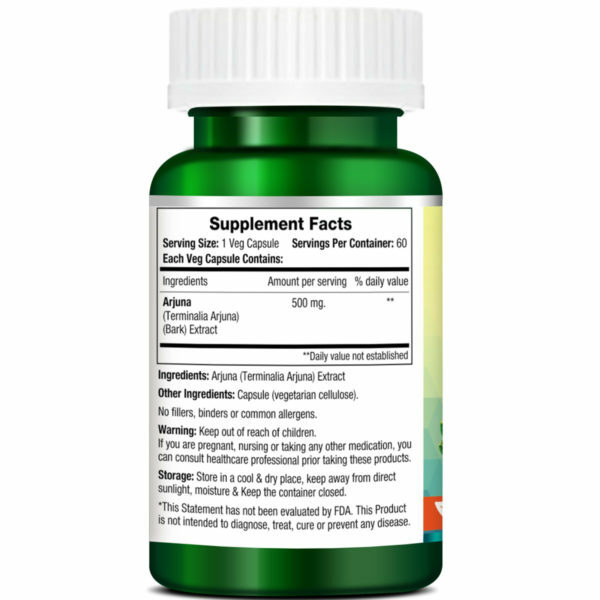 It is a good supplement, worth trying.